Who knew non-alcoholic drinks could taste so good? 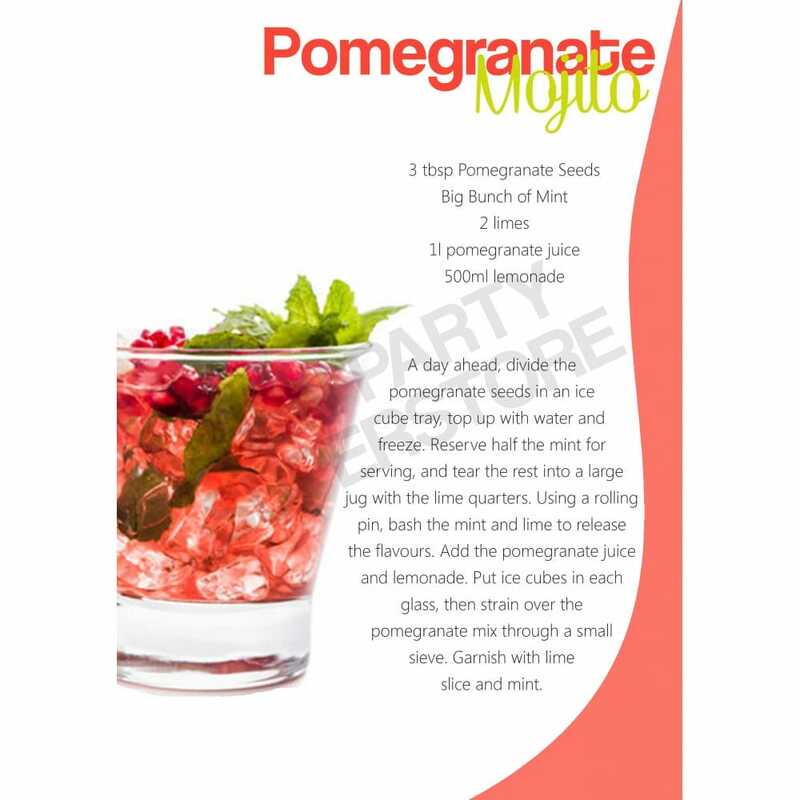 This Pomegranate Mojito Mocktail is filled with fruit juices and mint, a delightful combination that you won't be able to resist. Instead of plain ice, use the pomegranate seeds to create an ice cube with a twist! Fill your ice tray with seeds and simply top up with water. A fantastic beverage choice for summer Hen Dos.